Which type of training is best for you and your dog? Dog training has come a long way since I began working with people and their dogs in the late 1970s. Back then, there was no such thing as a private trainer, only group classes. Dogs were widely viewed as property and trainers used harsh methods to instill obedience. 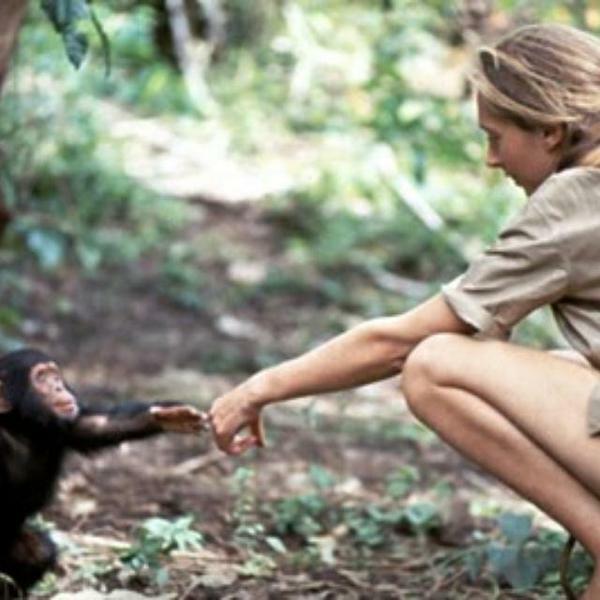 Jane Goodall, in the early stages of her profound work with chimpanzees. Dr. Jane Goodall’s groundbreaking research on chimpanzees showed that animals were “individuals with distinct personalities, minds and emotions” and the world gradually began to view pets in a whole new way. Gradually, because she was shunned for professing that animals have emotions, when she first started but she persevered and today she is up for a Nobel Peace Prize and I hope she gets it. She has changed the way we view and care for animals and so deserves this prize. Those of us who’ve had pets knew that they had feelings and personalities, yet it took a very long time for dog trainers to change their ways and begin working with more compassion and understanding. Dr. Goodall inspired me as a young girl, to carefully observe how dogs interact with each other, their enviornment and their people. That passion became my profession, and for the past 40+ years, I’ve specialized in helping people understand the language of dogs. As trends often do, the strict methods used by dog trainers back then, have swung full circle to where dogs are trained with much more compassion, using scientifically based methods. I am not going to get into the specifics of different training methods, but, need to emphasize the most important aspect of training dogs is having a keen understanding of body language and energy, yours and the dogs. With this understanding comes the capacity for honing in our benevolent leadership skills and training becomes a piece of cake. Really! Dogs instinctively use and rely on clues sent through body language and energy from dogs and from us. Body language is a dogs first language. Today, despite the abundance of private trainers and popular obedience classes across the country, pet owners are still not taught the importance of body language. This is a travesty because without it, dog training becomes robotic and methodical, abandoning the most critical part of what makes a dog, a dog. So, how do you choose between a group class, a private trainer or a board and train program? 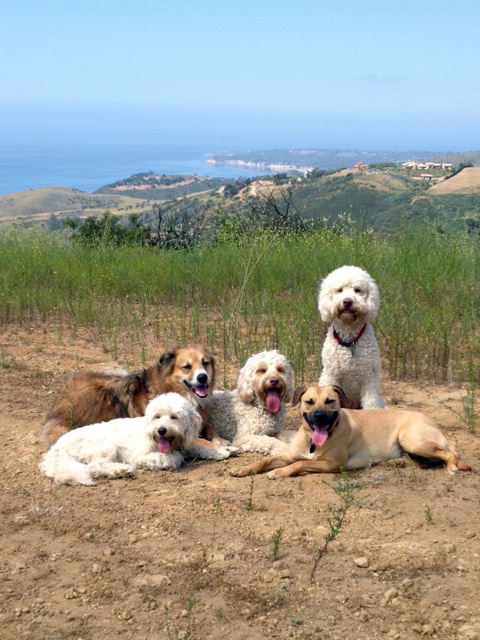 Group classes are designed to give you basic obedience commands/cues such as SIT, STAY, DOWN, COME, on leash and one can further their training to a more advanced class offering off leash training. Classes are less expensive and take up to 6-8 weeks meeting once a week. They are not designed to solve problems and given the time frame of 1- 1/2 hours in length and class size, (8-10 dogs per class) there isn’t enough time to get into problem solving. You will most likely not learn about body language in group classes because most trainers don’t cover it and if they did, to really do it justice the entire course would need to be devoted to just that. Group classes are great for people who need the weekly consistency and follow through in between classes and are already pretty dog savvy. This type of training is designed to help dog owners with their dogs in their own environment, where the trainer can see what issues you are having at home. They will teach obedience as well as problem solving. It is more expensive, but with an experienced trainer in obedience, problem solving and knowledge of dog body language you can learn more in 3 sessions that you can ever learn in any group class. 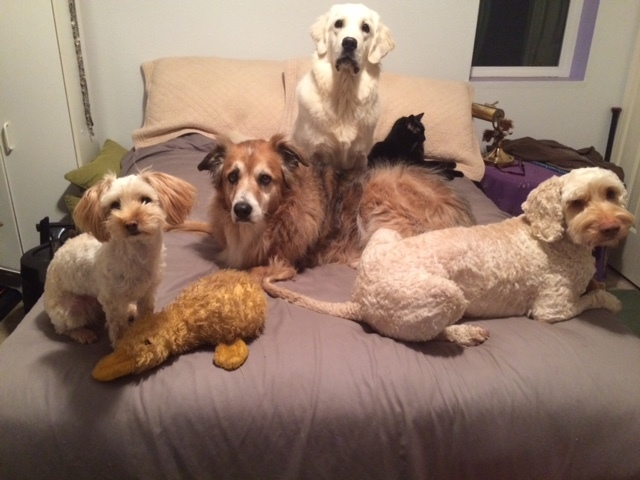 Sadie, the Golden Retriever, learning from my teacher dogs and cat! Sending your dog away for training can be an option for dedicated and committed guardians who are very busy and need their dogs started and will follow through with everything the dog has learned. It is very expensive and a huge waste of money if you think you won’t have to follow through for the life of the dog. Remember, there is no magic pill, you must follow through. There are also different kinds of boarding and train programs, so do your research thoroughly. Some dogs live in a kennel and come out only for walks and training, spending up to 20 hours a day in the kennel. Some bring the dog into their home yet still leave dogs in crates, only coming out for walks, training and socializing spending up to 15-20 yrs a day locked up, while others take 1- 4 dogs into their home and only put them in a crate or kennel, when the trainer goes out, simulating a more home-like environment and which is much less stressful and much more fun for the dogs. These are some great options, yet if the trainer isn’t talking about and teaching you the importance of dog body language, you’re success will be limited to methodology and technique. Without this crucial understanding of how dogs communicate, the capacity for an incredible partnership and bond will lack the aliveness you and your dog both crave. In conclusion, you are the one being trained, not the dog. A good trainer will teach you how to speak dog and if you can afford it, private in-home training may be well worth the money, because you’ll get it all; obedience, problem solving, manners inside and outside the home and learning how to speak dog. It’s about the dynamic between you and your dog. The difference between a good trainer and a great trainer is that a great trainer teaches you how dogs communicate, so you’ll have a better understanding of them, giving you the skills you need to train this dog and any dog in the future. If the trainer has been effective you will be able to answer your own training questions, when they come up. One great question to ask a perspective trainer is “What do you feel is most important aspect in training dogs?” If the answer isn’t learning how dogs communicate with their body language, what they need to thrive in our human dominated world, and that how we respond to them is as important, chances are you’ve found a good trainer, not a great trainer. 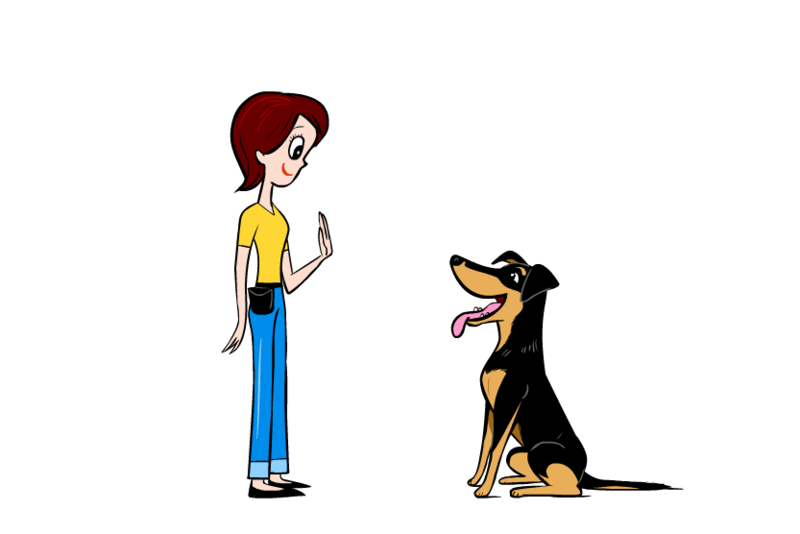 Effective dog training can save you time, money, and frustration because you’ll have the key to success: the understanding of body language, yours and dogs and what dogs need in order to have a fantastic and trusting bond between you and your dog. The great trainer teaches you to teach your dog, leaving you feeling successful, while building on these successes until you and your dog are comfortable, confident and working together as bonded partners.